Segmation’s SegPlayPC Be My Valentine pattern collection is a fun, off-beat set of great colorful digital patterns. We know you’ll enjoy coloring these great patterns! What a great stress reliever as well. You can find a wide collection of Be my Valentine Scenes paint by number patterns and is available at the Segmation web site. These patterns may be viewed, painted, and printed using SegPlay™PC a fun, computerized paint-by-numbers program for Windows 7, 2000, XP, and Vista. Enjoy! This entry was posted in "out of the box" art, 3-D, Art, art lovers, crafts, Creativity in Children, pattern sets, Presidents, Valentine's, Valentine's Day, Valentines Day gifts and tagged brain teaser, Brain Teasers, kid crafts, love, love art, Mona Lisa, musicians, Pattern, Personal computer, quilting, valentine cards, valentine patterns, valentine quilts, Valentine's Day, work of art on February 11, 2013 by segmation. Have you ever wondered why certain works of art are so famous? For instance, why does the Mona Lisa enjoy celebrity status, even though there have been scores of other well-painted portraits throughout history? Leonardo da Vinci’s Mona Lisa is currently known as the most famous painting in the world, but in previous centuries, it was merely regarded as a well-executed portrait by one of the Renaissance’s greatest luminaries. It wasn’t until the 20th century that the painting skyrocketed to fame. It was stolen in 1911 and recovered in 1913 – two dramatic events that catapulted the painting into the limelight. Mechanical reproduction and commercialism further propelled the fame of the painting, with the image being sold on various types of merchandise as well as appearing in countless advertisements. By now, the Mona Lisa’s fame is self-perpetuating and her legend is well-established. The Venus de Milo is another example of a work of art that became famous not just for its beauty. Although it is one of only a few extant sculptures from the Classical period, the Venus de Milo enjoys its particular fame due to the massive propaganda efforts put forth by the French in the early 19th century, in an attempt to proclaim that their Venus was a better work of art than an Italian version of the Goddess. 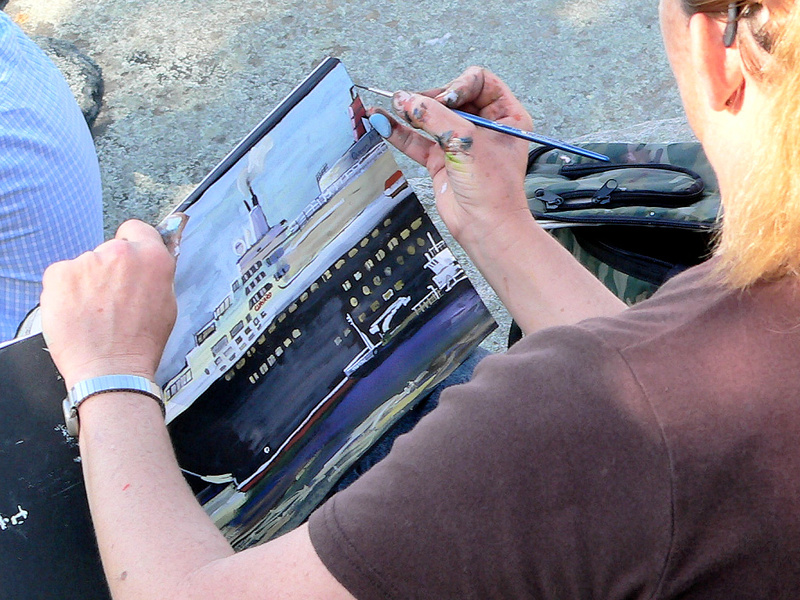 The relative fame of an artwork depends on far more than just skill or execution; factors such as the timing and location of the piece, the social and political atmosphere of when it was created, and the artist’s ability to create an emotional resonance between the artwork and the viewers all play a part in why some artworks are more coveted than others. In the end, a healthy dose of fate, luck or chance doesn’t hurt, either. This entry was posted in commercialism, Mona Lisa, paint by number, Venus de Milo and tagged Art, brain teaser, commercialism, famous painting, greatest luminaries, Leonardo da Vinci, Mona Lisa, Paint by Number, Renaissance, Segmation, Venus de Milo on July 5, 2012 by segmation. Arguably the most famous painting in the world, Mona Lisa is an iconic oil painting created by acclaimed artist Leonardo da Vinci in the 16th century. For centuries, the piece has been the subject of much fascination, scrutiny, and admiration. One of the longest-running questions pertained to the identity of the woman depicted in the painting. Although many believed it to be the wife of an Italian businessman, Francesco del Giocondo, the artist left no record to confirm that, and there were several other obscure references that implied other possibilities. But in 2005, the mystery was finally laid to rest. At the University of Heidelberg in Germany, a library researcher named Armin Schlechter discovered a note made in the margin of the works of Roman philosopher Cicero. 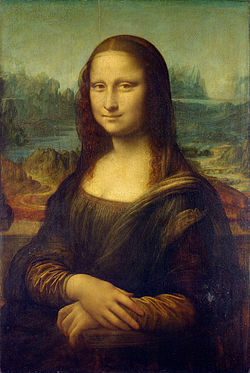 In the note, a friend of da Vinci’s, Agostino Vespucci, confirmed the sitter’s identity to be Lisa del Giocondo. Shortly after the birth of their second son, her husband had commissioned the painting to display in their new home. The Italian title loosely translates to “Lady Lisa”. Today, the original painting is displayed in the Louvre Museum in Paris, France, and is widely renowned as a timeless symbol of enigmatic femininity. This entry was posted in Armin Schlechter, Francesco del Giocondo, Heidelberg, Leonardo da Vinci, Mona Lisa, portrait, Segmation and tagged Armin Schlechter, Francesco del Giocondo, Heidelberg, Leonardo da Vinci, Mona Lisa, online paint by number, Segmation on May 19, 2012 by segmation. Open to the public in 1793, the museum has spent the past 2 centuries securing its title as the “Museum among museums.” At the time, it was a home to France’s nobility, and throughout the ages has played a critical role in art history and world politics. Founded during the French Revolution the infamous infrastructure, like the country, was made to evolve, influence, and remain aware of all things new in Europe and throughout the world. As kings took royal oaths and war raged, the Louvre never wavered under poor leadership or political stresses. She always remained a fortress. In fact, during World War I and II, the museum slowed acquisitions and removed most of the work, hiding them so they would not be taken by opposition forces. Such protective measures allowed the museum to remain the beacon of art history well into the 21st century. To this day the Louvre advances itself as a “barrier-free” museum. It desires to attract all people within the nation of France as well as those outside the borders. Henry Loyrette, the current president and CEO of the Louvre notes how the museum continues to “play a major role in cultural diplomacy.” This is done through the intrinsic ability art has to dull the divides of contingencies and tensions. It also inspires dialogue between people of different cultures. Ultimately, art promotes respect and forges a common bond for all. At the present time, the Louvre houses upwards of 380,000 pieces of art work and has 35,000 of these on display in eight different departments (Egyptian Antiquities; Near Eastern Antiquities; Greek, Etruscan, and Roman Antiquities; Islamic Art; Sculpture; Decorative Arts; Paintings; Prints and Drawings). The Louvre also exhibits archaeological finds as well. It is the most visited museum in the world and averages 15,000 visitors per day. Aside from being a setting of many movies, the museum was a point of interest in best selling book, The DaVinci Code and the 2006 film. From this filming alone the museum collected $2.5 million and got to showcase its most prominent galleries. If you’ve had the opportunity to visit the Louvre Museum in Paris, Segmation would love to hear about your experience. Please share your highlights in the comment box below. This entry was posted in "out of the box" art, Art Museum, closed, Da Vinci, Heist, Louvre Museum, Mona Lisa, Segmation and tagged Art, art museum, art work, closed, DaVinci Code, famous, famous artwork, France, French Revolution, historic monument, Leonardo da Vinci, Louvre, Louvre Museum, masterpiece, Mona Lisa, Musée du Louvre, Paint by Number, Paris, pickpockets, The Louvre Museum in Paris on November 1, 2011 by segmation. You’ll find in our SegPlayPC Be My Valentine pattern collection. This is a fun, off-beat set of great colorful digital patterns. We know you’ll enjoy coloring these great patterns! What a great stress reliever as well. Valentine’s Day is celebrated around the world on February 14th. It’s a magical day where lovers express their love for one another in many traditional and untraditional ways. In today’s time, candy, chocolates, flowers, and heart filled cards are usually given as gifts in many cultures around the globe. Our set of Valentine themed patterns includes many illustrated graphics of the holiday including roses, candy, cupids with arrows, dragons and puppies in love, and couples in love. Happy Valentine’s Day to all! This set contains 24 paintable patterns. This entry was posted in 3-d sidewalk art, Art, Art Appreciation, Be My Valentine, Brief Definition of Art History, cars, Claude Monet, Colorful, Colorful Patterns, colors, Crossword Puzzles, Game, Heart, Hearts, Homeschooling, Impressionist painting, John Singer Sargent - American Portrait Painter, Kid Art, legos, Mona Lisa, Monet, Online Paint by Number, Paint by Number kits, Paintings, Patterns, pavement art, Pop Art, Puzzle, Segmation, Sidewalk art, Sudoku, thankful, Valentine's, Vincent Van Gogh, wacky, William Blake, Zodiac and tagged brain teaser, Brain Teasers, Glee, kid crafts, love, love art, Mona Lisa, Pattern, Personal computer, quilting, Renaissance, valentine cards, valentine patterns, valentine quilts, Valentine's Day, Windows 7, Windows XP, work of art on January 8, 2011 by segmation. 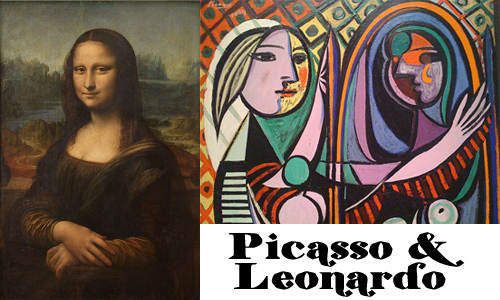 Leonardo da Vinci and Pablo Picasso are two of the most famous painters in history (if not the most famous); one a Renaissance genius renowned for his skillful realism, the other a modern legend and co-founder of Cubism. One reason for this vast difference in the number of paintings produced is that both artists were products of the times in which they lived. When Leonardo was alive, artists didn’t have the luxury of creating art for art’s sake. Instead they were commissioned by the church, guilds and wealthy patrons to create paintings and sculptures that were expected to depict certain themes. For this reason, Leonardo needed to find work where he could. During times of war, he had to work as a military architect and engineer, designing methods of defense. Making art took a backseat to the work necessary for survival. By the time Picasso was born 362 years after Leonardo’s death, the world was a different place. Artists had more freedom than ever to paint what they wanted. Self-expression in art was more widely accepted and expected. Instead of being commission-based, most artwork was sold in galleries to private collectors, as money flowed more abundantly through society than it did during the Renaissance. By the 20th century, successful artists such as Picasso were able to sustain themselves from the sale of their artworks alone, and did not need to seek alternate forms of employment to make ends meet. These factors may contribute to the reason why Picasso created so many more artworks than Leonardo, even though Leonardo is the creator of the most famous painting in the world. Who knows what more Leonardo could have accomplished if he’d been alive in modern times? This entry was posted in 3-d sidewalk art, Age of Enlightment, Art, Art medium, Brief Definition of Art History, China and India, Claude Monet, colors, Crossword Puzzles, eccentric, English, French, Impressionist painting, Mona Lisa, Monet, Online Paint by Number, Paint by Number kits, Paintings, parade, Patterns, pavement art, Pop Art, Puzzle, Segmation, Sidewalk art, Vincent Van Gogh, Zodiac and tagged Art, artists, brain teaser, craft, crossword puzzles, Crosswords, Cubism, Leonard da Vinci, Mona Lisa, Northern Renaissance Master, Pablo Picasso, painting, Puzzles, Renaissance, sculptures, Visual Arts, works of art on January 4, 2011 by segmation.